Franz Beckenbauer has claimed ahead of Euro 2012 that Joachim Low is in possession of the best Germany squad in the nation's footballing history. The Bayern Munich legend lifted the World Cup as a player in 1974 and then as a manager in 1990, but he is of the opinion that neither group had the same strength in depth as the current panel. "We have always had a high level of quality in the national team squad," Beckenbauer told Bild am Sonntag. "But Jogi, he now has the best squad of all time. He has 23 players at the top level and we have never had that before." Beckenbauer pointed out that Low deserves much of the credit for cultivating and nurturing such a talented collection of players. "There was a glitch in our development during which our national team lost respect abroad," he argued. "But Jogi has succeeded in restoring our reputation with a cultured brand of football meshed with our own traditional virtues." 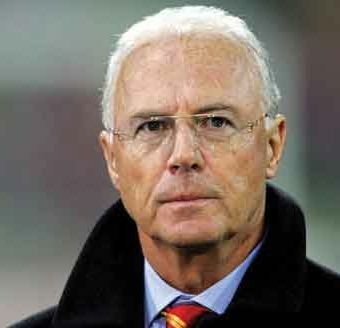 Consequently, Beckenbauer believes Germany are capable of ending Spain's reign as European champions this summer. "The Spanish are still hungry and it should be a final between Germany and Spain - but then we win," he stated. "But there are certainly a few teams that can win it: Netherlands, Italy, France, Portugal and England." Germany, who finished as runners-up to Spain in Euro 2008, have been drawn in the same group as Netherlands, Portugal and Denmark.